Can flagging industries be replaced by BPO services? I had a distressing conversation regarding the future of the US automotive industry today with a guy from Detroit. Their main concern these days is the widely-speculated acquisition of Chrysler by General Motors. The expectation is that if GM buys Chrysler, it will only retain the Jeep and Minivan businesses, close all the other Chrysler plants, and lay off 75% of Chrysler's engineering staff, for a direct loss of 90,000 jobs - not including ~6x more jobs at suppliers - throughout North America. If no merger happens, one or more of the "Big 3" will go bankrupt, resulting in a total loss of all jobs - more than 120,000. One of his neighbors is putting his house on the market tomorrow, anticipating losing his job soon. Several other friends and neighbors expect to lose their jobs by the end of the year. 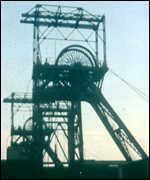 the majority of the British coal-mines had to be shutdown due to unprofitability. Entire cities were left with mass-unemployment, leaving the British government with little choice but to invest in attracting new business and investment to cities. One of the most notable success stories has been the development of 650,000 call center and BPO jobs across many of these cities where old industries were dissolved. Many of these jobs are also in the financial services sector, supporting such businesses as MBNA and Sun Life. Whomever gets elected on Tuesday night is facing a massive task to redeploy workers in consolidating and declining industries, such as automotive manufacturing. As we discussed so animatedly last week, could creating BPO jobs we an answer? Could the USA become a competitive BPO location? IMHO, BPO by itself is a very overrated idea (let's say in the world of Web 2.0 when modern technology allows one to self-service so many things by himself without being put on hold for hours and getting frustrated at the incompetence of a call centre employee), and when the core services are fast going down the hill, there might be only this much one could do with BPO services. For all we know, BPO industry in all markets is also highly vulnerable at this point - after all, when customers will buy significantly less number of products and services, why will they not require proportionately less number of call centres ? Secondly, with the continued focus on squeezing the best out of whatever customer support dollars one is left with, the challenge might be to get the best out of it. So, everything else being equal, there would be a pressure on hourly rates (even compete with the other low-cost destinations where such work has already been sent out) if such a plan has to work. Retraining the manpower is yet another task. You are correct in your assessment of the auto industry and its probable restructuring. Chrysler has essentially been bankrupt ever since it was misguidedly bailed out before under Iacocca. There was similar massive job loss when robots first came into auto production lines. It took years for people to be retrained and placed elsewhere. It will be the same again. Technological change and creative destruction are always disruptive of employment, and it is always poorly planned for, if at all, because everyone is in denial of its need: workers, unions, companies, governments, educators. As to whether Business Process Outsourcing services can be a viable sector in North America is doubtful, at least not to a meaningful degree, in my opinion. Wage rates are simply too high to compete with offshore locations, where overhead costs are also much lower. Drucker spoke of outsourcing to improve quality. Perhaps we need a name for this because outsourcing has connotations indelibly associated with offshoring to lower cost. Companies can improve the quality of their processes by outsourcing it to an American firm that specializes in these services. With the implementation of good management, it is probable that a side affect of quality outsourcing will be lower cost. Increasing quality naturally lowers cost. Good question :) Makes a lot of people think and give varying opinions. British coal-mines and then the emergence of 650,000 call centre and BPO jobs across cities in the UK in the 80's was indeed a great move by the British Government but that was in the 80's. In a time when the global economy is see-sawing and the American economy is in doldrums and in the midst of a new presidential election - the safest bet would probably be for GM and Chrysler to come together and for GM to accept that they are not the best. Some jobs would be saved and secondly GM's acceptance will probably help them reorganize themselves to becoming a better company that has better products and gain market share. To answer your question in a more direct manner - its possible to replace a flagging industry with BPO services. But for that to happen, it needs to be in a manner and situation wherein it overhauls the industry that its replacing by providing better jobs, pay, benefits, and is in a position to compete globally with others in every way. In this case, it would have to be costs first as that is what has made the BPO and call centre industry as big as it is today. If the US can compete on costs in the BPO and call centre industry, why not! Given the poor quality of recent Chrysler products (I own a 2006 which is a POS vs. the 1992 I still have) perhaps the engineers would be better suited as call center agents. And there are many abandoned buildings in scenic Detroit in which they could establish operations. I think GM should forget Chrysler, move out of the US where they can ditch the union, let the next administration worry about the subsequent default on pensions (we are on a roll at bail outs). Then establish a market strategy based on technology superiority and sell their cars and truck back to consumers in the US (if any have jobs and can afford new vehicles). As that market continues to decline, simply target India and China. Yes, US cities like Detroit could become massive BPO work-places and guge call center locations subject to people willing to take lower wages, willing to work out-side of the union forces, government labor department relaxing the labor laws which force employers to buy tons of insurance coverages as a protection mechanism for the business, laws are such that it has made very difficult to make low income workers on W2 wages, ......... and the list goes on. So, it is easier said than done. It is like healthcare industry which requires total reform of the system to make it work which no body wants to touch it becuase it involves lobbyists, Insurance companies, doctors and hospitals, legal laws, justice department and the congress law makers. Barrack will need a will power and support of many faceted agencies to make this work and will need for than a term ....... at the same time he has many other CHANGES where he needs to focus His energies. But the synopsis is that while I agree with Phil that replacing sick and dying industries with services is a good idea, the auto industry has strategic importance well beyond the jobs it creates (and quite often eliminates), so it may deserve one more chance before we give up on it. where will the cars be made, if these plants are indeed shut down, after all they may be making losses but there is no real unsold inventory and america will still need cars once it comes out of the recession. A Toyota and a Honda and others cannot build new plants overnight. As for the idea of BPOs being overrated, well despite much higher automation in automotive than the self service options in banks and travel, we have 200,000 people in Detroit working for these corporations, so definitely one eon of Web2.0 self service user will not be able to decimate the back office or the middle office for that matter. And atomated customer service will never be ore than 10% of the overall customer service equation. In the first case, these new local industries of Detroit will again bring a new life support system to the US citizenry and in the second case, well we'll all have turned over a new leaf like Wall E and look for a girlfriend!